Libyan author Hisham Matar draws on his own life to provide insights into this story of a son’s yearning for the father he loved but who vanished when he was fourteen. 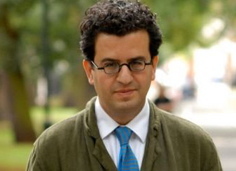 In real life, Matar’s father Jaballa, once a member of the Libyan delegation to the United Nations and, after Muammar Gaddafi’s coup, a political dissident, went into exile in Egypt in 1979, when his son was nine. He was kidnapped in 1990, when his son was twenty. The only word the family ever received from him came in 1992, when they received two letters from him indicating that he had been kidnapped by the Egyptian secret police and handed over to the Libyan authorities where he was jailed in the notorious Abu Salim Prison in Tripoli. He was never heard from again, though word filtered out to his son that he had been seen in prison as late as 2002. This fraught background provides the structure of Matar’s novel, which takes place in an unnamed country. Nuri el-Alfi is a young boy whose mother dies rather mysteriously when he is nine, while the family is living in exile in Egypt, and he and his father, a dissident and former minister of the government under the king, become “two flat-sharing bachelors kept together by circumstance or obligation.’ His father had refused to let his son return to their country to live with his wife’s sisters after his mother died, but he apparently feels guilty about his inability to be more of a father to him: a “tenderhearted sympathy, raw and sudden, would rise in him at the most unexpected moments, and he would plunge his face into my neck, sniff deeply and kiss, tickling me with his mustache. It would set us off laughing as though everything were all right.” When Nuri is fourteen and in boarding school in England, his father and his much younger, new wife Mona meet Nuri in Switzerland at the Montreux Palace Hotel, and it is on this vacation that his father is abducted. The Swiss police have no leads. All this information about Nuri is given in the first five pages of the novel, and as the author continues Nuri’s story from that moment up to age twenty-four, the bare bones outline of his life at the time of the kidnapping gradually broadens and gets filled in, and his life as an exile, without family or country, takes shape. Through flashbacks and reminiscences, the reader also comes to know more about Nuri’s younger life and his father’s role as a dissident in exile. This painting by J.M.W. 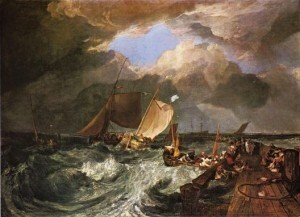 Turner was one of his mother’s favorite paintings, according to his father, when the two visit the National Gallery. 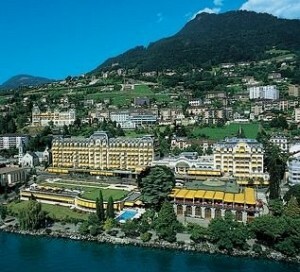 Nuri’s father disappears while they are visiting the Montreux Palace in Geneva. 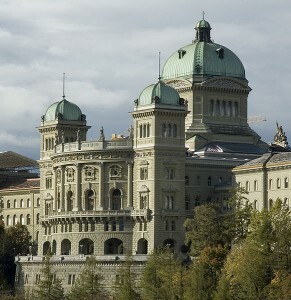 Nuri and Hass, his attorney, go to the Federal Palace in Bern, seeking information about Nuri’s father. 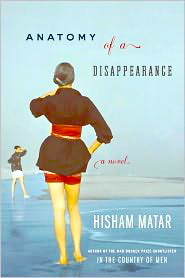 It is not until he observes a man who has fallen into the water trying desperately to hang on until he can be rescued – a symbolic scene – that Nuri, at age twenty-four, starts to become “human.” The novel’s most successful scenes follow that, one of them a scene in which Nuri meets the woman from whose apartment his father was kidnapped, and learns her story. Since both of them have shared the shock of the father’s dramatic disappearance, this section, and the section in which Nuri returns “home” to Egypt for the first time in many years, have the kind of feeling that is missing in the earlier sections of the novel, perhaps indicating a belated coming-of-age. The novel is cleanly written and straightforward, but despite the surprises in the novel, I longed to see Nuri acting like a real boy and showing a need for closeness – with someone, anyone – and especially with the reader. His stiff upper lip, in the face of the dramatic events of his life, make his narrative seem almost journalistic, and I felt excluded from his life when I wanted to share it.